Chicago residents: That sweet tooth is about to cost you a little extra. A new, penny-per-ounce tax on all sweetened, pre-packaged beverages is set to go into effect after a judge lifted a ban on the controversial measure Friday. It has been dubbed the "pop tax," referring to the local term for soda. The tax applies to a wide range of drinks sweetened by sugar and artificial zero-calorie sweeteners, but leaves many exceptions. For instance, alcoholic beverages, pure fruit juice and some nutritional shakes won't be affected by the tax. The ordinance narrowly passed a vote by the Cook County board last year. The board's president, Toni Preckwinkle, had to cast a tie-breaking vote. The tax was supposed to go into effect on July 1 -- but the Illinois Retail Merchants Association (IRMA) fought the measure. The group filed a lawsuit in county court last month arguing the tax wouldn't be fair because it affects "ready-to-drink, pre-made sweetened beverages, but generally excludes sweetened beverages made on demand," like some coffee and tea drinks made to order at a cafe or restaurant. Taxes, IRMA argued, have to be applied "uniformly" across product categories. Judge Daniel Kubasiak agreed to review the tax. But the Circuit Court of Cook County ultimately gave it the green light on Friday. IRMA CEO Rob Karr said in a statement he was "disappointed" in the decision and is "exploring legal options." We are disappointed with the judge's ruling on Cook County's sweetened beverage tax. We are exploring our legal options. 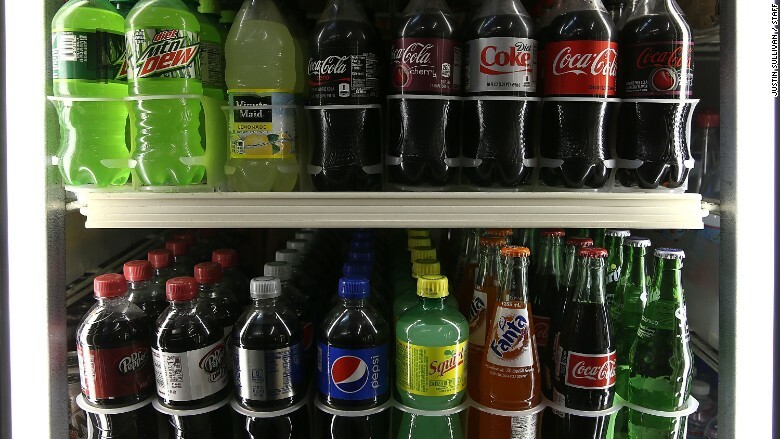 Proponents of the pop tax cheered the decision. Among them were were city officials who were counting on the added tax revenue to help fill budget gaps, and health advocates who see the measure as a way to encourage Chicago residents to make healthy choices and cut down on sugar consumption. The American Heart Association's Chicago chapter said in a statement that it "applauds" the move as an "important step in the fight against chronic disease." "Revenue from this tax will allow the county to maintain and improve vital services like the healthcare and public safety systems," the organization said. This isn't the first so-called soda tax out there. Philadelphia and Berkeley, California were the first cities to pay such measures. San Francisco; Oakland, California; Albany, California and Boulder, Colorado recently passed similar taxes.